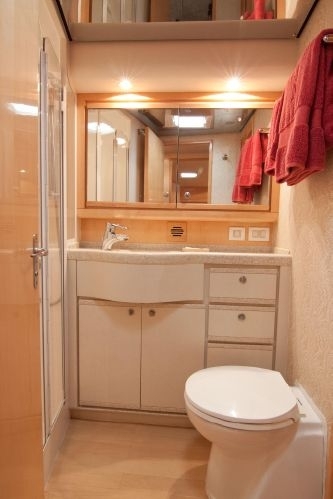 One spacious Master Cabin, One VIP Cabin and one Twin Cabin, all with their own bathrooms. ANEMINA is built by the well-known Bertram shipyard and is reputed for her sea-going performance, thanks to the famous V hull profile. 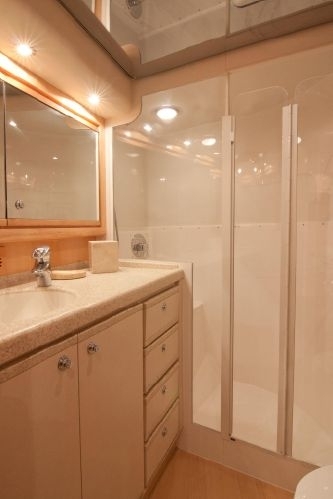 Her amenities and luxurious fittings provide the ultimate comfort. Particular attention has been paid to fitting her with the appropriate engines for her purpose. 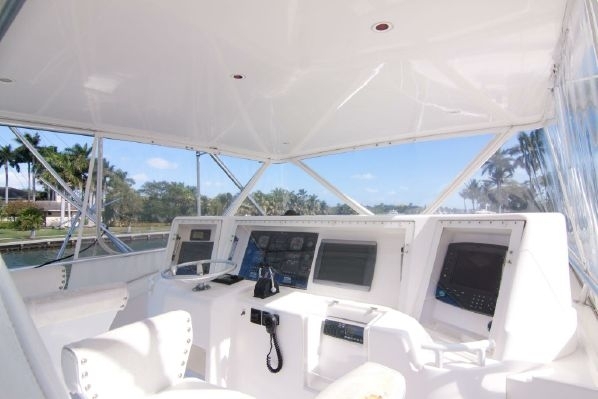 She is a true fishing machine, providing ample space, generous storage and excellent viewing, not to mention true world class performance for speed and maneuverability. 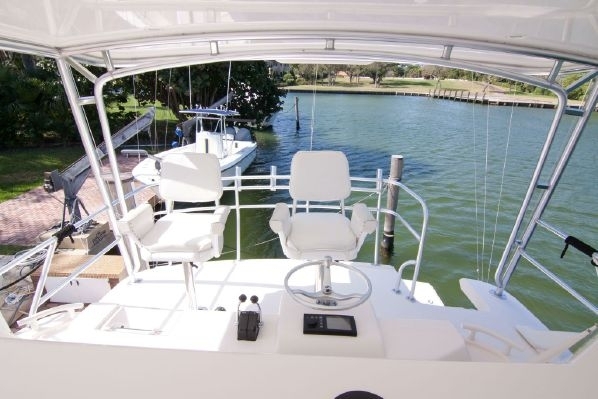 She is the perfect yacht for fishing and scuba diving lovers, carrying professional fishing and scuba diving equipment. This unique 60 feet charter yacht is built by the famous Bertram shipyard and is reputed for her sea-going performance, thanks to the famous V hull profile which makes her ideal for the rough seas of the Aegean! Her amenities and luxurious fittings provide the ultimate comfort. Particular attention has been paid to fitting her with the appropriate engines for her purpose. 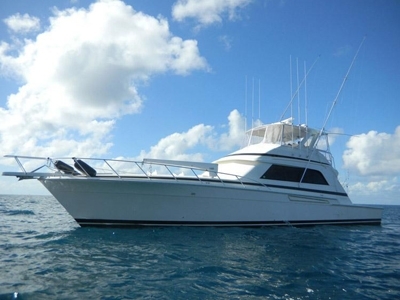 She is a true fishing machine, providing ample space, generous storage and excellent viewing, not to mention true world class performance for speed and maneuverability. This exceptional Bertram 60 Convertible charter motor yacht is based either in Athens, or in Mykonos and Santorini (Cyclades) and is offered for private long-term or daily cruises and for fast, comfortable and safe sea transports in Greece, Turkey and East Mediterranean. This fast charter yacht is one of only four 60’ Bertrams that were built with curved frameless salon windows and the only one with electric rear window to the deck. 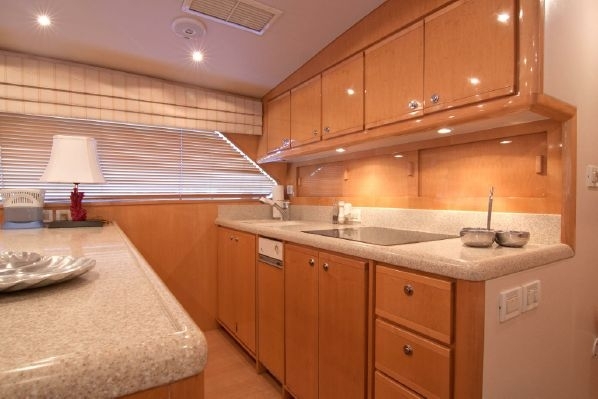 She features desirable Caterpillar 1400 hp3412E power, twin 22.5 KW generators and is a galley up, three stateroom model with three full heads all with separate stall showers. 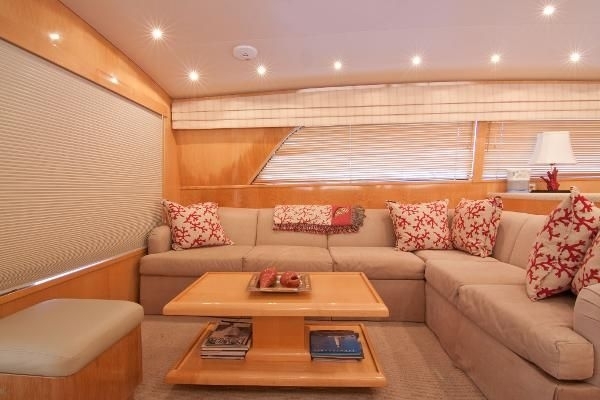 Entering the salon there is a large L-shaped sofa to port, maple coffee table with storage beneath. 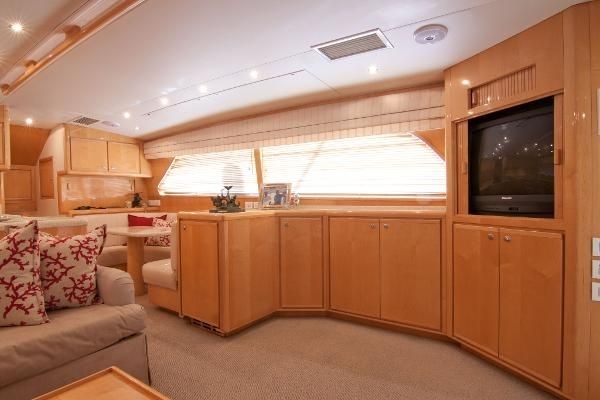 To starboard is the entertainment center with LCD TV and stereo, wet bar with sink and corian counter with storage below. 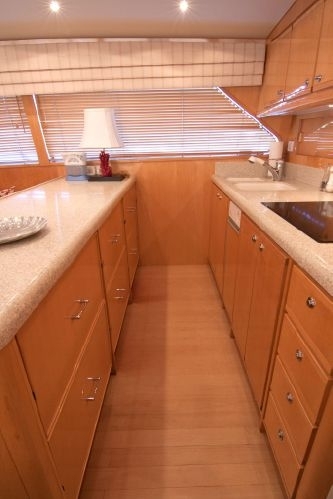 Forward to port is the U-shaped low profile galley with under counter refrigerator, stove, corian counters and teak and holly floors. 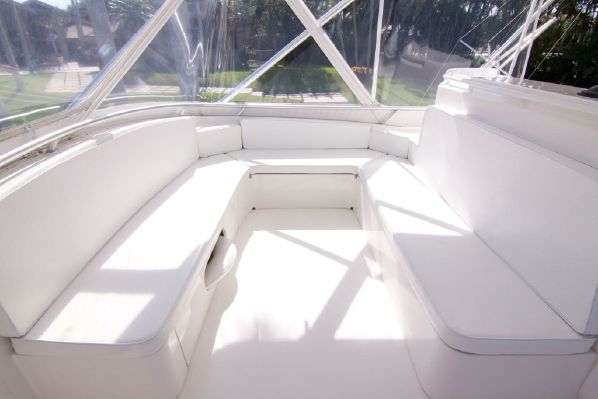 To port is the dinette with corian table. The salon features textured carpeting with wood window mini blinds. 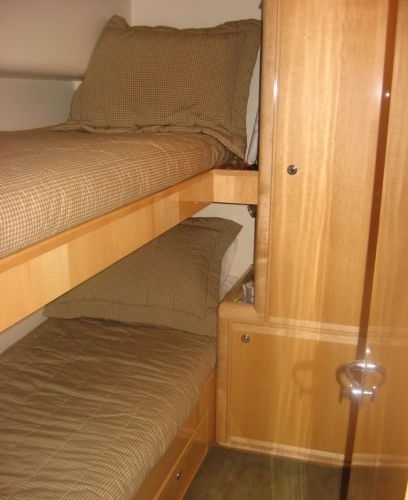 Moving forward and down four steps to the cabin area the large Master stateroom is to port with oversized queen bed. 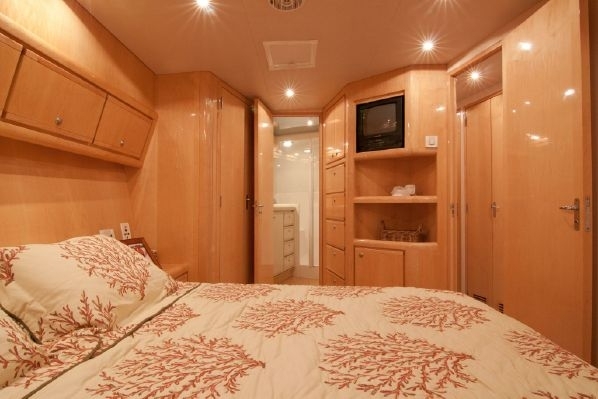 The Master features a large hanging locker, ample drawer space, two nightstands, LCD TV, stereo, DVD player and an ensuite private head with corian counter, large stall shower and teak and holly floor. 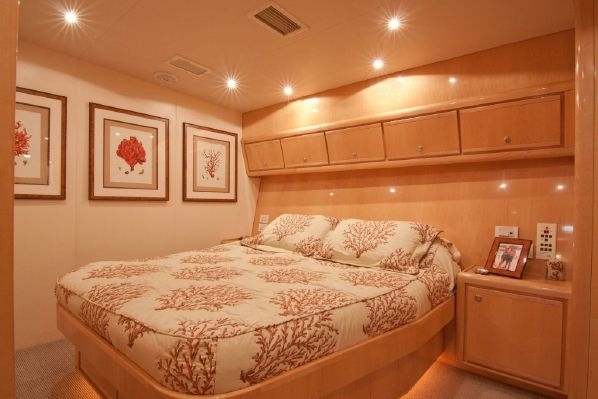 To starboard is the Guest stateroom with upper/lower berths, hanging locker, drawer storage and ensuite head with stall shower, corian counter and teak and holly floor. 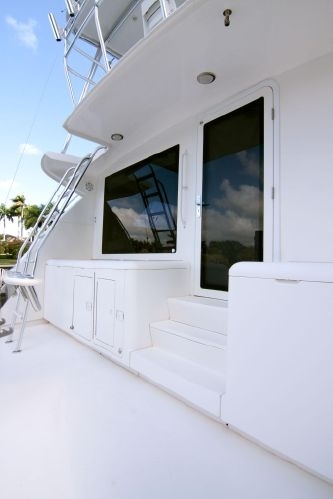 This head is also accessible from the companionway and doubles as the day head. Moving forward to starboard is a locker which used to be the laundry center. The washer/dryer have been removed and it has been converted to storage area. 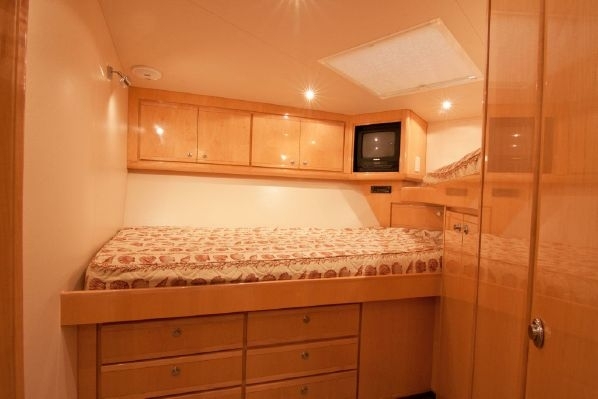 The forward VIP stateroom features two split berths, hanging locker, drawer storage TV, stereo and en suite private head with stall shower, teak and holly floor and corian counter. Sleeps 6 guests in 3 cabins. One Guest cabin with upper/lower bed. 2 x Electric Fishing Reel Kristal 650 series/12volt reel for trolling, downrigger and deep angling.